Van and wheelchair service available Monday to Friday for medical appointments, pharmacy visits, social activities, shopping and more. 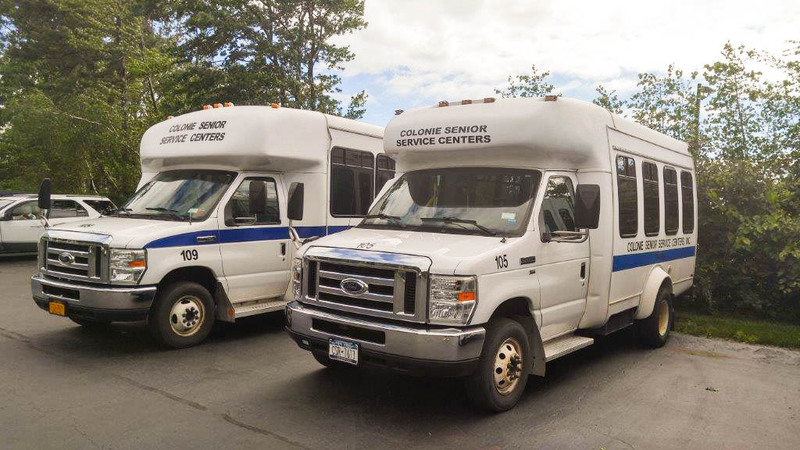 Transportation Services provided by Colonie Senior Service Centers have enabled elderly and disabled residents of the Town of Colonie to get to medical appointments, the pharmacy, social activities, and other errands affordably and safely. With our fleet of 11 vehicles, 11 dedicated drivers, and three enthusiastic volunteer drivers and companions, we help seniors remain independent and safe at home. In 2018, our Transportation Services delivered over 20,000 rides. Our goal is always to improve our efficiency by reducing miles traveled through better routing and grouping of rides, while continuing to provide top-notch customer service. We also assist frail and disabled elderly with fully-escorted transportation services operated by volunteer drivers and companions. Colonie Senior Service Centers, Inc. is committed to providing nondiscriminatory service to ensure that no person is excluded from participation in, denied the benefits of, or be subjected to discrimination in the receipt of its services on the basis of race, color, or national origin as protected by Title VI of the Civil Rights Act of 1964 (“Title VI”). Individuals seeking an accommodation, or who wish to submit a complaint related to ADA compliance, are directed to contact the Director of Transportation at 518-459-6064. Further information regarding ADA compliance, reasonable accommodation, and complaint procedures can also be obtained by contacting the CSSC Human Resources Department at 518-459-2857, ext. 310. Shall be translated into languages other than English, as needed.